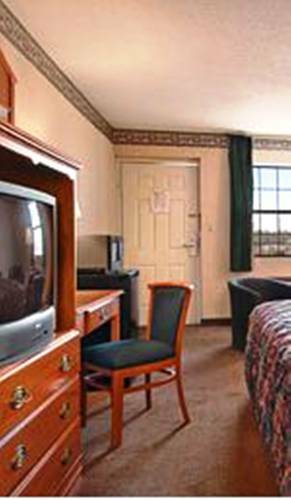 You are invited to experience a quiet, comfortable stay at the Days Inn Brownsville, Tennessee. We are working hard to offer our guests modern comfort and courteous service. We are easily accessible from Interstate Highway 40 at exit 56 and less than an hour away from the International Airport in Memphis and city of Jackson. We offer Complimentary Hot Coffee and Continental Breakfast in our remodeled lobby in the morning and HBO, High Speed Internet, and Local Calls are Free to our guests. All our rooms feature Coffee makers, Hairdryers, Iron and Ironing boards. Some rooms have Microwaves and Fridges. We are very close to many shopping areas and many good restaurants are within walking distance. The Hatchie National Wildlife Refuge is nearby, and the area is known for bird hunting. There are many attractions in Memphis and Jackson, Tennessee that are only an hours drive. We pride ourselves in providing quiet, comfortable rooms at a competitive price and welcome you to experience our first class accommodations and friendly service. Donated by the late Dr. Frederick C. Freed, who evidently had an insatiable appetite for fancy teapots. A fraction of the collection is displayed on shelves in the city hall council chambers, with mirrors behind them.